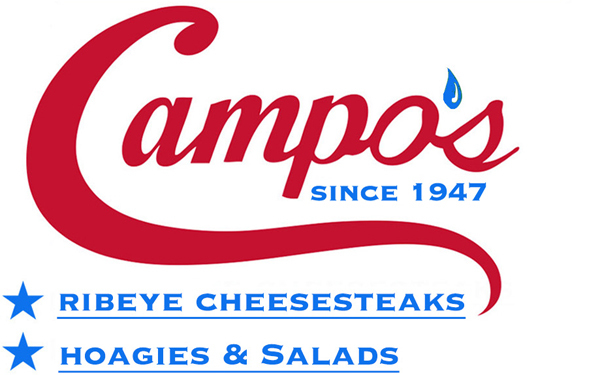 Campo’s has been serving up top-rated Philly cheesesteaks and hoagies for over 70 years! Conveniently located in Old City Philadelphia, Campo’s is a short distance from historic Philadelphia sights such as the Liberty Bell, Independence Hall and Independence Visitor’s Center. A family-owned business, Campo’s story has a lot of history and tradition in itself. Ambrose Campo, originally opened in 1947 as a neighborhood corner butcher shop. In 2001, his son moved the operation downtown to 2nd and Market streets, and is still slicing rib-eye and pork shoulders the way his father did – and his father did. 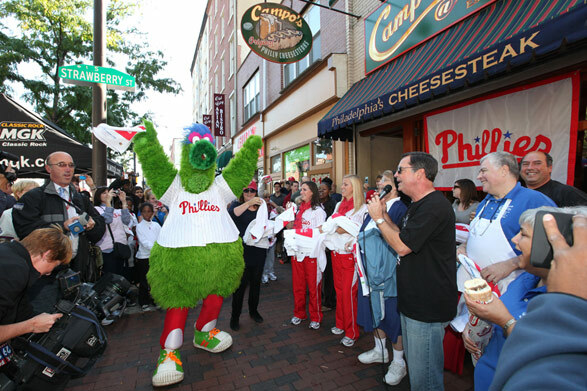 Campo’s is the official cheesesteak of the Philadelphia Phillies, Philadelphia Flyers and Philadelphia 76ers, with locations also in Citizens Bank Park and the Wells Fargo Center. Their famous sandwiches and impressive local beer selection have been featured on the Food Network, as well as many local news and media publications. The restaurants offers a wide menu of iconic Philly foods like their renowned cheesesteaks, hoagies and house-roasted Italian pork. Campo’s has several gluten-free and vegan alternatives to their sandwiches, so all customers can enjoy the menu. They also offer boxed lunch packages of their cheesesteaks and hoagies for larger groups exploring the city. For more information about Campo’s, please visit camposdeli.com.